Closed and being converted to housing. 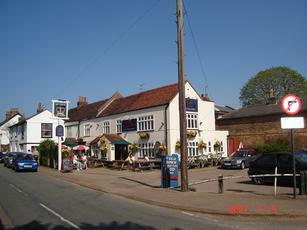 Landed in this pub one Sunday afternoon after cycling several miles from Stratford. The location Much Hadham is exactly what I was expecting, and more! It did not disappoint. with it's old worldly village atmosphere. I was half expecting that classic head turning, music stopping, stranger in town enters salon treatment, that you get in several cowboy movies. But this is far from the truth. I found the staff and locals all very friendly and willing to put up with my stranger in town touristy type questions. The owner Jane? (Sorry there goes my memory for names again!) Was really friendly and seems like a real nice person. The food was near perfect! I ordered a Beef roast it was just the right size and really tasty. And the beer selection was just right for a pub of this size. So If you like to explore old English villages with things of interest For example - the Henry Moore foundation just a little further up the road then be sure to pop in. 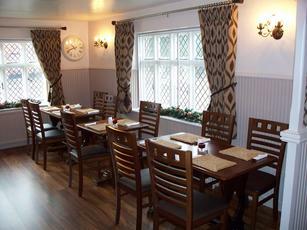 The Old Crown has recently undergone a refurbishment and was reopened on the 22nd of November 2008. Whilst the inside and outside haven�t changed structurally a fresh coat of paint has lifted it from dark and cluttered to light and airy. There is one bar area, which is in between to seating areas which are primarily used fro dinning. There is also a patio area out front which again can be used for eating and drinking . Average pub with average beer. Small outside seating area.